Yet her story, though it encompasses her divorce, is much larger. Ultimately, Smith sets out to love herself, to find an inner place where she can rest and grow. In this search-for-the-holy-grail memoir, Smith traces her travels toward enlightenment as a middle-aged American woman with a wry humor and heartfelt longing. On the journey she discovers spiritual fulfillment doesn’t come easily, or all at once. For her, it is quite elusive. Drawn by the mysticism of the Hindus, her journey leads to Bangalore where she touches the robes of Sai Baba, the Indian saint, and observes him producing ashes out of thin air. Back home in New Jersey, she finds herself in a country farmhouse getting prescriptions channeled through a medium for everything from her back woes and diarrhea to an obsession with money. They work. Smith recounts the time she left a Japanese-style zendo when the staff insisted she get down on her hands and knees and wash the floor. She also writes of the demons that surface during a years-long love affair with her beloved Charlie and what A Course in Miracles stirred within her. 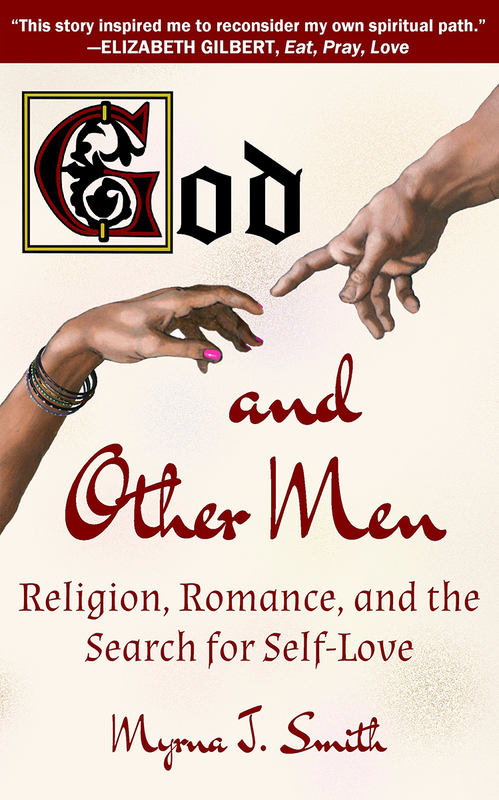 God and Other Men is not about being struck by a lightning bolt and forever changed. Smith’s story is one of adventure and effort that, in the end, reveals three simple yet essential truths that are both the journey and the destination. It’s an account of a long, slow sojourn into the peaceful chambers of the heart — the way most of us actually arrive.